What I love about these brands are their origin stories. (Shout-out to comic books!) Many of these brands were started by moms who needed a better carrier to suit their needs. Fast forward to a few years, and their carriers are some of the most well-known brands! Good on you, mompreneurs! 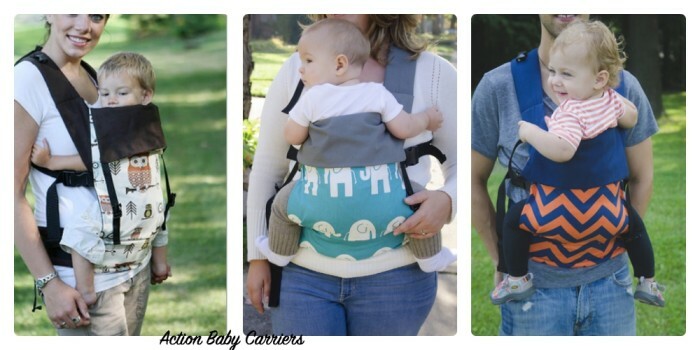 Action Baby Carriers (ABC) – I’ve noticed that some ABCs have similar prints to Tulas. This could be a go-to if your budget is less than $100. ABC retails for about $98 on average. AngelPack – Family-owned and based in Florida, AngelPack’s carriers were inspired by mei tais. They have unique prints, and they also handle custom carriers. These cotton buckle carriers retail for about $138 on their site. Baby Bjorn – I’ve known about this brand since I was probably in high school (that’s back in the 90s, y’all). These carriers can front-face forward carry. Bjorns are usually known as “narrow-based carriers,” but Baby Bjorn came out with their newest carrier, Baby Bjorn One. The Ones have a wider seat, supporting the baby from knee to knee and retails for about $139-$169. Check this out, Kohl’s has the exclusive colors – how cute. 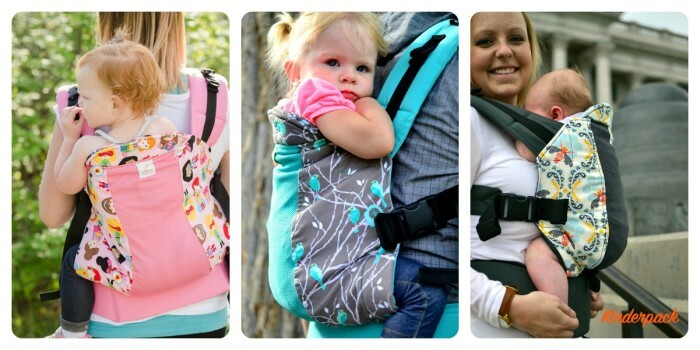 If you’re sick of black or gray, you can pick up a mint or pink carrier. I’m a fan of polka dot and stripes so I had to showcase that one! Beco – Beco has a couple of SSC styles out there – the Gemini and the Soleil. The Gemini can front-carry forward-face. That means, the baby can face out while you carry her in front of you. The Soleil is strictly face-in forward face or back-carry. You could do a hip carry but looking at the photo, it doesn’t look too comfy. (Hip carries with SSCs all look uncomfortable.) The Becos retail for about $130-150, and their toddler version retails for $200. Kinderpack (Kindercarry) – This family-owned business in Illinois started out making Kindercarries (luxury mei tai carriers) and moved on to the SSC. While they offer carriers for infants and babies, I’ve seen more Kinderpacks used for toddlers. This brand offers some neat customization in terms of sizing! You can order a pack based on your baby’s weight and height AND your size! So if you’re plus-size or require wider straps, you can choose those options! Check back often on their social media and website for the next “shop opening.” Prices start at $179. 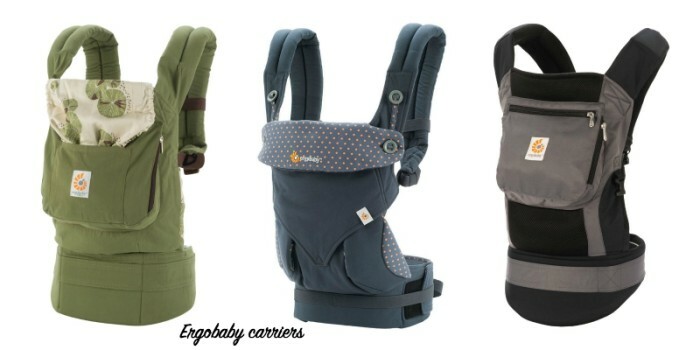 Lillebaby – Lillebaby offers several different styles of carriers: Original, Airflow, All Seasons, Organic and Carryon (toddler). You can wear your baby six ways, though I still think the hip carry is pretty much useless unless you’re wrapping or using a ring sling. Tula – Tula carriers are typically made of cotton canvas. (They also offer wrap conversion carriers.) What sets them apart, in my opinion, is their array of prints. Their resale value tends to hold well – some actually go for more when broken in. So there you have it! You’ve got lots of choices when it comes to soft structured carriers (SSCs)! The best way to find out which fits you and baby is to find a babywearing group meetup in your area, or find a certified babywearing educator to help you one-on-one! Which carrier catches your eye? Do you have a favorite? Tell me in the comments! *Note – This is not a comprehensive list; there are smaller brands that we may have missed. As always, do your due diligence and research the products yourself and try them out at a meetup. You never know what will work for you and your baby! Disclosure: This post contains affiliate links at not cost to you.